Home » National Building Regulations (SA) » SANS 10400 » NHBRC » Did you Know the NHBRC Can Send You to Jail? The NHBRC CAN Send You to Jail. 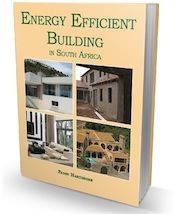 If you are in the home building industry then this is a must read. Here are some important things you and housing consumers should take into consideration regarding the NHBRC and how it will affect your home building process. The National Home Builders Registration Council is a government department which formulates regulations in the home building sector aimed at protecting housing consumers against structural defects. According to the Housing Consumers Protection Measures Act (Act 95 of 1998) all home builders must be NHBRC registered. All new homes built after 1999 should have been enrolled with the NHBRC and if any home builder fails to register with the NHBRC they could be sent to prison for a year. When you enroll a house, the NHBRC should conduct high standard home inspections at different stages of the construction period. The housing consumer will be provided with warranty cover for minor defects for the first three months of occupying their newly built home, roof leaks will be covered for the first year of occupation and major structural defects will be covered for the first five years of occupation. There are certain things the warranty cover will exclude, such as stables, lifts, workshops, tennis courts, swimming pools, household appliances, maintenance items, fencing or pre-cast fencing, temporary structures, alterations/ additions and mechanical ventilations or air conditioning systems. Other exclusions of the NHBRC warranty cover include plumbing, electrical problems and finishings. If things do go wrong, the NHBRC will insist that the home builder covers the costs of repairs and if the home builder is financially unable to do so the NHBRC will step in. According to the “Act” the registered home builder is responsible for enrolling the house he is going to build. Every new house must be enrolled 15 days before construction is scheduled to start. In cases of late enrolment, where construction of the house starts before it is enrolled, extra charges will apply. In addition to the late enrolment fee the NHBRC will want payment for a late inspection (including travelling costs) and a financial guarantee from a bank or an insurance company. There will be additional costs involved in issuing the financial guarantee. Furthermore, additional competent person inputs, for example engineers, will add to the costs or where a geologist’s report is needed he will charge for drilling, drawing up the report, submitting to the Council of Geoscience, etc. Enrolment fees are payable via EFT or bank deposits as well as via bank guaranteed cheques, which does take a bit longer as the NHBRC will wait for the funds to clear before issuing a certificate. It is acceptable that the perimeter walls are built before the enrolment certificate has been issued and the foundations may be dug as well. The NHBRC conducts home inspections to ensure that risks against structural defects are minimal. 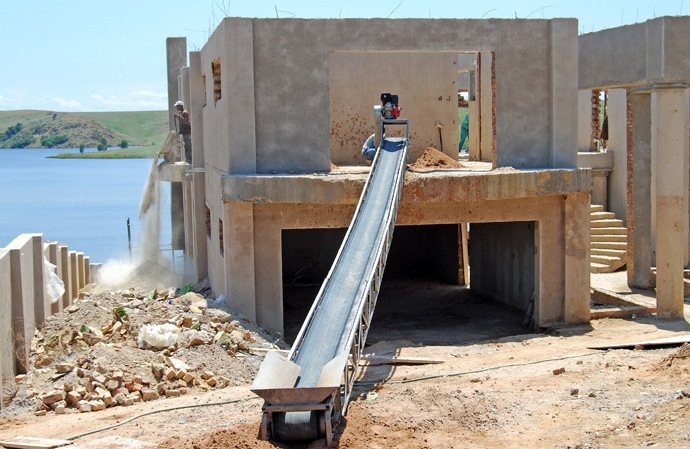 They believe that the risks are higher when they didn’t inspect the houses’ foundations before construction commenced. Wayne Christoph, CEO of Simplified Admin Solutions, advised that “The “Act” stipulates that the NHBRC needs to do a minimum of 3 inspections per house (they can do more if they feel there is a need) but this does not always happen”. If home owners would like a full report for their own peace of mind they can get additional inspections done by an inspection company. Home inspections are not detailed and checks mainly include the structural components of the house. In addition to NHBRC home inspections, these can be done by companies appointed by the insurance companies to determine the risks of the insured as well as whether the NHBRC requirements have been followed. It is important that only people with the necessary expertise and qualifications do the home inspections as they know exactly what to look for and they know how to spot serious defects. If you have missed an enrolment and require a NHBRC Defaulters guarantee click here. To read the interview with Simplified Admin Solutions CEO, Wayne Christoph, click here. As always for your list of tenders click here. Our home is been built by a NHBRC registered builder who is supposed to completeour retirement home by the 15th December 2016 (6 months) and is now only at roof hieght. When I done a site inspection yesterday, I found a major structural crack in the 1st floor wall which is not even plastered yet, as well a hairline cracks in the majority of the walls that have been plasterd. I am also of the opinion that the requirements of the SANS 14000 requirements have not been fully met. Is it not the requirement of the NHBRC to inspect these registered homes under construction and stop such dviations and tell the builder to repair them. You’ve lost me Jean. Article 2? And which particular regulation? Hi. Im building a home on my own property with my own cash. No bond is registered toward the property or for the building. I supply all materials and got a builder to lay foundations and erect the walls. A different carpenter does the roof and ceiling. Another builder does the tiling. A plumber for plumbing and electrician for electrical. PS Hi. Forget to say. I am retired and I will be living in my house. First of all the building regulations require you to have a competent person draw your plans and take charge of the build. By law you have to have a registered plumber and registered electrician do that work. In terms of the NHBRC, unless you are an owner builder and apply successfully for an exemption, you must use a registered builder for the house and the house must be enrolled by the builder. Hi Penny. I’m in the same situation as Jean. I have tried to contact the NHBRC in the northern suburbs and their number is incorrect on their website. They moved from their listed address, and they don’t respond to emails. I have had my plans approved and want to apply for an exemption, but how do I do that if they are not contactable? Hi I just bought a new house built from scratch. I just want to find out is it exceptable that my house has cracked walls but it only been two months old its been built. I asked the builder he said no this is normal the house is still new it is still settling this will happen for next 10 years. I do not know if they just making me a fool or its an excepted thing for new homes please help. Normal settling can result in cracks, but not usually within two months. It isn’t clear whether you hired the builder or bought a plot and plan house. Either way, the builder, by law, must belong to the NHBRC. Check with them. Presuming he is, report this to the NHBRC and ask them to investigate. There will be a warranty on the building. If not, they need to take action in terms of fraud. The building regulations in terms of doors and windows are no different for houses on the coast. What are you concerned about? I need help please. I bought a house in 2013. Tru Guideline building contractor’s (New development). The bond is not even 2 years old and the entire house is cracking. I was advised by the developers to contact NHBRC, but can’t get tru. Can someone please call me back for assistance on on cell number 083299588. We are not affiliated to the NHBRC. You need to phone them, email them, visit them … whatever you can do. If you can’t get through to a number, call another one listed on their website – or in the telephone directory. Good luck. Do you still have to register as an owner builder when you fund your own building project for a house ? Dewlap please read our articles, specifically this one – they explain how you have to apply for an exemption! Please contact the NHBRC directly. We are not affiliated to them. How does this law influence the building of additions, for example a bachelor flat, to an existing property (erected in 2002), please? Liesl, For ANY ADDITIONS you must get plans drawn up by a competent person and submitted to your local council and then get approval BEFORE you start. All building and construction work must comply with the regulations. Additions do not have to be registered with the NHBRC. Your local council will tell you their specific procedure. Our home was built by a NHBRC registered builder and he failed to use a sealer or something on the brigs because when it eains all this dampness is coming through the walls. I am very dissapointed as we struggled si ti build our home. When we approached the builder to come and fix his faults he said he didnt care ss he was no longer registered with the NHBRC. If the builder was registered when he built your house the NHBRC warranty will still be valid. Contact them. Also report the builder to the NHBRC – presuming he was in fact registered, they have an obligation to take action against him. Furthermore, if you can prove that this person is still building houses, he is in breach of the law and you can report him to the NHBRC for fraud. Again, they have an obligation to take action.